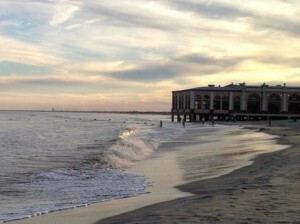 Why stay in a beachfront property? Treat your family to this luxurious, first floor, beachfront home poised in “America’s Greatest Family Resort” at 4125 Central Avenue. Meticulously appointed with patio furniture, indoor/outdoor sound system, and gas barbecue grill, the majestic 25′ x 40′ beachfront deck is perfect for a family cookout or sunbathing! Relax as you listen to the seagulls, waves breaking against the shore, and smell the salt air through the whispering ocean breeze. Walk a few steps to the lifeguard protected beach through the picturesque dune path located directly in front of this tranquil vacation get-away. There’s something so enchanting about the rhythm of the ocean. 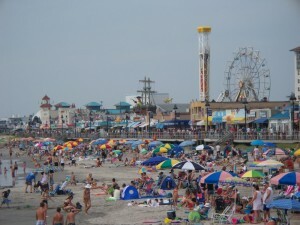 Ocean City is the premier beach where memories are made! This lovely vacation home is ultra-clean, well maintained and tastefully decorated. It has been completely renovated for the 2019 season! The deck and the interior living area are much larger than most of the homes on the island. Comfortably sleeping eleven, this home has four large bedrooms with closet space and two full bathrooms. I want to say that my family had a wonderful week at your beach house this summer. We couldn't have asked for more. The weather was perfect, the house was fantastic (very comfortable - had everything we needed) and the location superb! Thanks also for the restaurant recommendations. We tried The Crab Trap and it was a hit. Can't wait for our next OC visit. Thank you for making this wonderful house available for us to enjoy! We've rented this home 5 times in a row for a ladies getaway in the fall and spring. 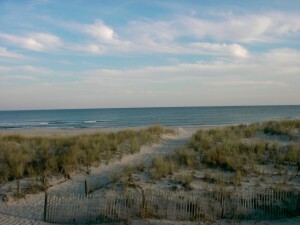 Right on the beach, the views are wonderful. The home has everything we needed! Lots of new renovations to the kitchen and bathrooms. The owner is always available in case we have a question or concern. We will continue coming back to this lovely escape! My family and I had a great vacation at your home - it is beautiful and spacious. The grandsons loved the sand right off the porch. My 6 yr old grandson learned to use a boogie board in the ocean. Everyone had a fantastic time, Thanks so much Nick for letting us use your home. It is gorgeous! This is a great spot for families. My first time stay was based on web research only, and we were not disappointed in the slightest. My 1 & 3 year olds had a great time. It is very comfortable for families with young kids. The lower level / deck is great. My 3 year old played in the sand just off the deck while we sat at the dining room table. If you're looking for a great spot at a good value on the beach, this is it. By the time you read this review I will have booked for next year. 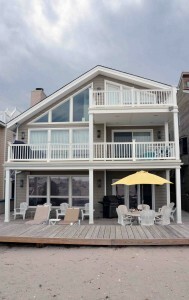 My family rented this wonderful beach house in Oct of 2010. It was clean and well kept. It was roomy and just perfect for our group. The deck is wonderful. We had little ones with us and it was nice to be able to sit on the deck while they played in the sand. It is a wonderful place and I would recommend it to anyone looking for the full beach experience!